Make sure to get your guild and favor buffs before the quest! What’s happening all? I thought I would work on this play guide as a helpful article to give new players a leg up on the Killa role. Hopefully even some veteran players will get a thing or two out of this. The role of the Killa is to slaughter all enemies as fast and as efficiently as possible. Please let me reiterate EFFICIENTLY. That’s what separates the good Killas from the bad ones. It may seem like a simple job, but it is far from it. 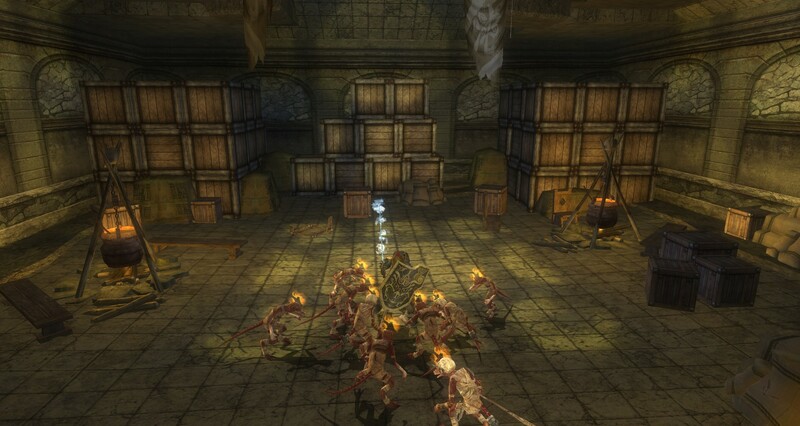 The Killa is generally at the front of the group, picking the group’s targets and determining the pace of the dungeon. Good melees stay fully loaded with guild and favor buffs. As the Killa, you should be at the lead of the group intercepting enemies, picking out the hardest ones, and taking them down first. Here are a few things to think about when you are in this role. Communicate – This is the most important, thing everyone can do that always makes playing easier. Keep communicating and be careful of misinterpretations. It’s easy to misunderstand someone through voice chat when you’re half distracted by a devil trying to eat you. Before you get defensive or upset, verify what they said and what is going on. Stay in front of the group, not ahead of the group. This means that you should be WITH the group but a little bit ahead of main group. You can be half a room ahead of the group (5 seconds). However do NOT be 3 rooms ahead of them (30 Seconds). KILL CASTERS FIRST! Plain and simple. They will cause much more harm to the group than a dozen warriors of their kind. Spells can be nasty, so make sure to take those casters out! A good jump skill really helps with this. Intimidate also works wonders as it makes them stop casting to try to smack you with their stick. Use it if you have it! Finger of Death and Phantasmal Killer are both ideal for taking out casters. Skilled warriors take out the casters first! Guard Healas and Fixas! You should always keep an eye out. If you see some mobs on them, go over and take care of it. They usually can’t handle the hits and they are useless if they are jumping around trying to dodge mobs instead of doing their job. Recognize your place! If you are the main Killa, then call out and lead the course of battle and the dungeon. If you are not the main Killa, follow the main Killa’s lead! This is something that is often overlooked to the frustration of all other party members. One leader is enough! If you run off to do your own thing then you are wasting everyone’s time and effort. A group that works together wins together! It is much more efficient to work as a team. Healas can drop mass heals on ALL Killas. Controlas can buff and nuke all players or enemies And when all the Killas focus on whatever the main Killa is going after, MUCH less damage is taken by the group! This is very important and should be something that all characters should keep in mind. This is a group game, work as a group! To hell with kill count! In reality, the fighter sets the pace of the dungeon, not the leader. Try to stick with a pace that the group seems comfortable with. If you are not sure what the pace should be, just ask! You’re a Killa, have the tools to kill! This means to have all the weapons, spells and other tricks needed to handle the job that is at hand. Make sure to have weapons that go through DR or hit incorporeal creatures. 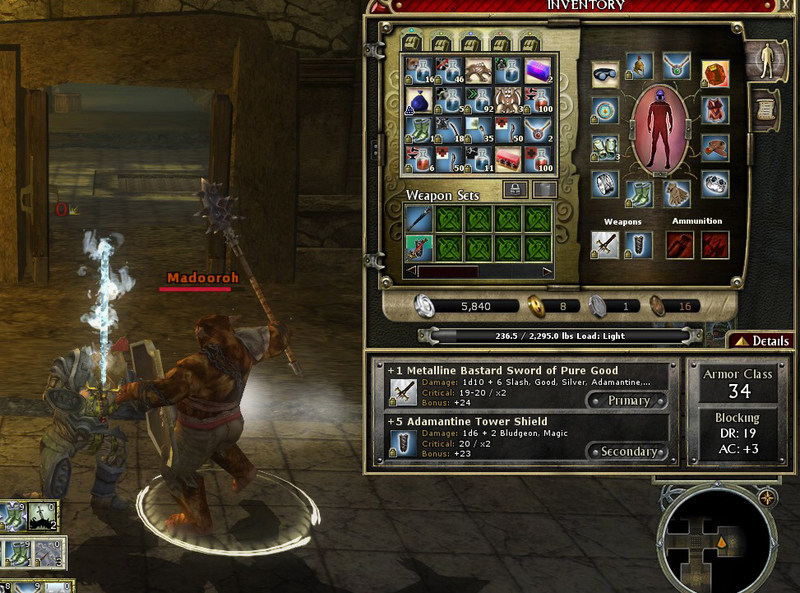 Make sure to have the spells that are most effective and bypass resistances and exploit weaknesses. Back into to a corner to avoid being flanked. Now it is not just about setting the battle up or killing mobs. It is also about surviving the battle. You are responsible for keeping yourself alive! 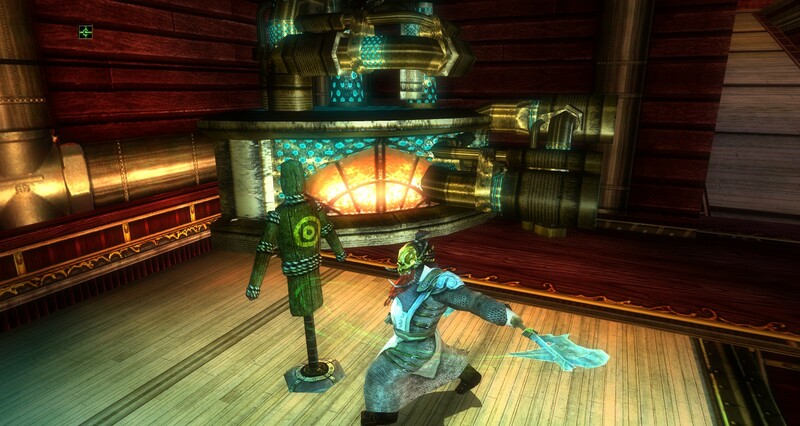 The Heala can help you stay alive with a cure, or the Fixa might help with an AC song or by giving you some Stoneskin. But it really all comes down to you. The best way to survive is by paying attention to your own health, staying close to the group and working together. No one should have to run off to find you. If one more Lightning Bolt will kill you, then dodge around a corner. Eat a potion, block dodge, or move out of the way. This game is very active and fluid. Make the most of it! 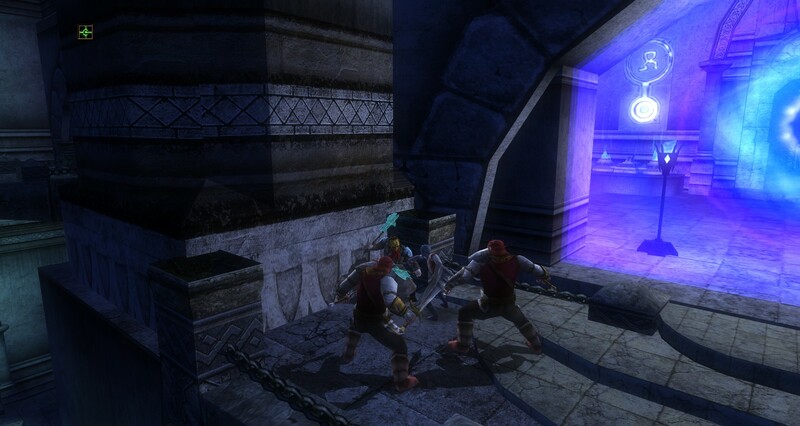 Use doorways or other narrow passages to bottleneck enemies. Now that you have an idea how to survive, let’s look at what can be done to make it easier. The main Killa’s focus needs to be on the monster that can do the most damage first, and which one after that, and so on. If the main Killa and the other killas stay together, they will destroy the nastier mobs fast and easily leaving only their henchmen and fodder behind to annoy the others while you mop them up. This is much better than killing off the easiest ones first, while the big nasty rains destruction and chaos on you. Set up your battleground and stick to it. This sets the precedent for everyone to battle together as a team. That’s what this is all about! You can use spells to wrangle mobs and mark the area or you can use a shield wall and flanking maneuvers. Intimidate works great for pulling in the mobs and marking them. This is a silent reminder to everyone that this is the killing field. 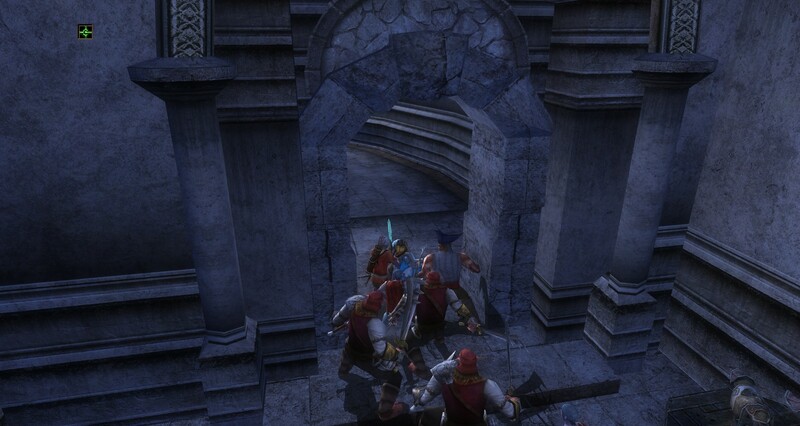 Intimidate archers so they leave the lower HP party members alone. When you have a good area in which to battle, use it! Let everyone know and pull the monsters back to the designated spot. Ambush the enemies instead of letting them ambush you. This tactic is generally used more with quests that are more difficult but it’s useful most of the time. If you have a quest that you cannot beat, try this technique, pulling just a few mobs back at a time. So now let’s talk about body pulling. 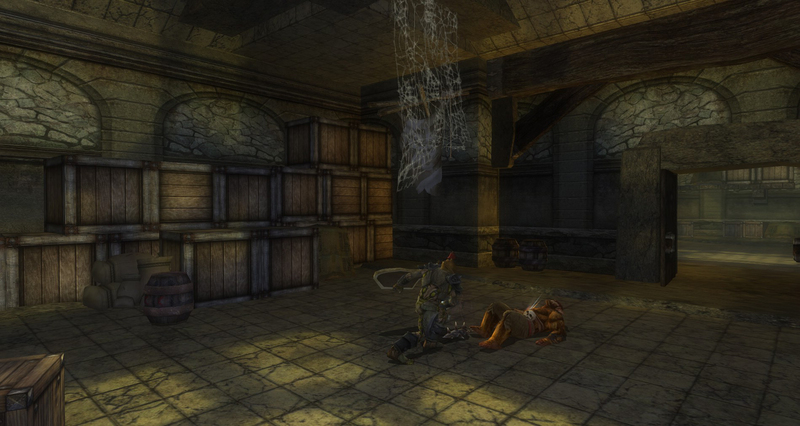 The mobs in DDO actually have some pretty impressive AI. They can hear, they can see, and will react to breaking items or their friends being hurt in different ways. You can split up groups by sneaking in until one or two from the group see or hear you and move in your direction. Come out of hiding and run back to the killing field. DO NOT attack them. When a monster is hit with an attack it basically “shouts” to all its nearby allies. This will bring the whole crew coming! However, if a couple just see or hear you then only they will charge, leaving their friends behind. 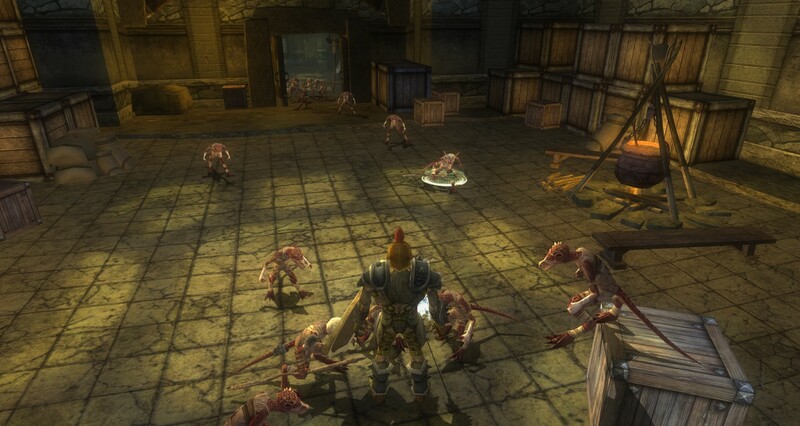 Intimidate is a great tool to gather and control enemies. 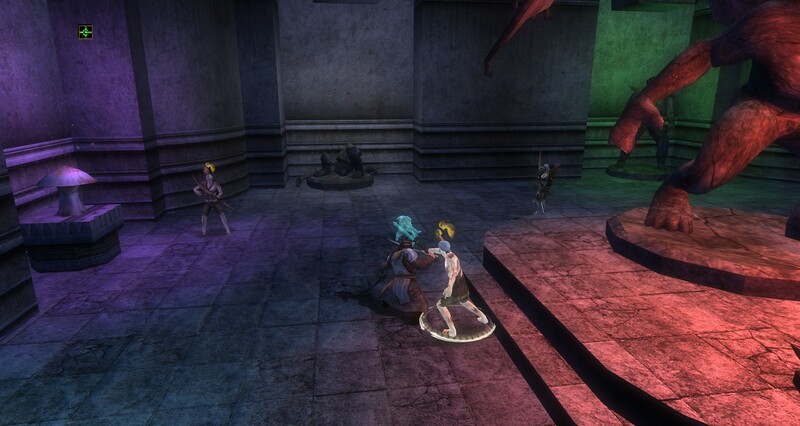 You can also use thrown weapons to attack the walls, floors or items near and around monsters. When they hear the sound a few will pull off to investigate. Once they are far enough away from their friends, body pull. Pulling is definitely an art, but as a Killa it is a skill you need to master! Now that you’ve pulled now what do you do? Let them come to you! Range them as they close, blast them with spells. Keep moving back and they will follow, right into the other Killas that are waiting for them! Jump into flank and attack! If you are flanked, surrounded, blasted with a zone spell, or otherwise in an advantageous position for your enemies, move! This is an active game, and you have options. Hold shift to block, tumble, roll or hop out of the way. Most creatures have special attacks with special animations. You can anticipate these and either block them with shift or move out of the way. Since you are the Killa, they are likely going to be mad at you so hone those skills of avoiding damage as much as dealing it. It is well worth it and will make a difficult quest easier. The less group resources you use, the better. Blocking (Shift key) can stop special attacks and increase DR. When you have put all these ideas to practice and just made it through a tough fight, it’s time to help out the Heala and Fixa, take some pots, hit yourself with a few charges from a wand… whatever. Check the status of your other party members and hit them with a wand once or twice. Everyone really can, and should, help. Once you are ready and recovered then it is time to move onto the next challenge. Just make sure everyone is ready. If you just make it through a fight and people are just clinging to the last few HP and you bring in another group of monsters… well… that would be very bad. When everyone is buffed, healed and ready, it’s time to move onto the next battle! Here are some random ideas, tips and tricks to help out. 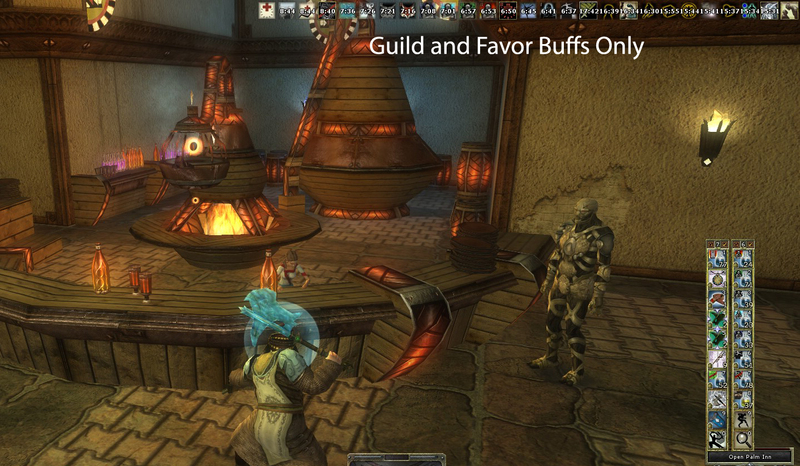 Take the time to grab buffs before the dungeon from your guild ship and the the Favor buffers. They are worth every GP. Potions are good. Keep a stack of 100 each of what you will use. It is well worth the trouble of carrying them. Please trust me on this. Sunder? Use it if you have it. One simple click to tank the AC of an enemy. Trip? Use it, why not? You still smack ‘em! And if it lands they are on the ground. Gravy! Trip and Sunder are both very useful, even without training. Boosts are all useful and can make you much more effective. Don’t forget them! If you have them, and usually have some left when you shrine, it means you need to use them more. Hot bar all your weapon sets. Keep like items near each other for easy switching. Hot bar all your abilities. If you have a train, keep moving. Don’t stand around and let them attack you. You can slowly keep backing up if need be to keep all mobs in front of you. When pulling casters or archers zigzag back to the killing field and the spells and arrows will miss you. Learn to use your targeting reticule. You can really do many cool things when targeting something that is not a specific targetable item. Use a wall, or the floor just around the corner, or the ceiling, and let your daggers fly. This works great for pulling as well. Learn your attack animations. Time clicking potions, boosts or spells with these animations to get the most from them. Try not to interrupt them; instead, time it so they are between them. Don’t forget about jumping and attacking at the same time. A great way to reach enemies and avoid spells, for example.